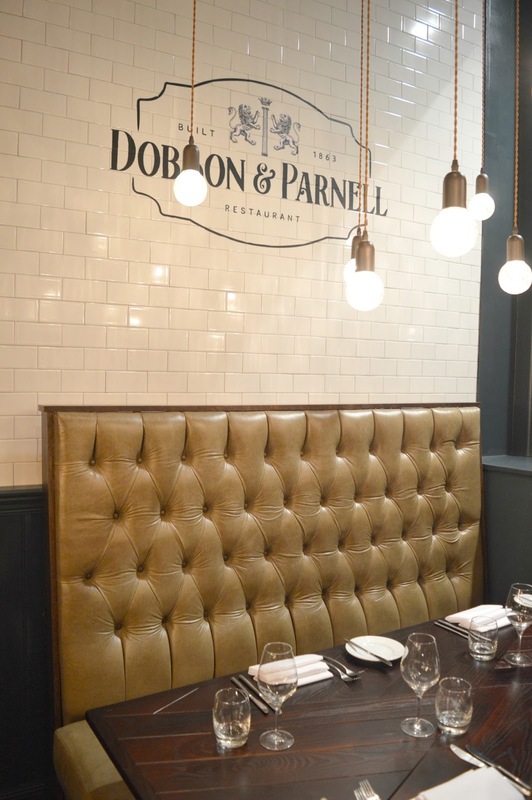 When I heard about Dobson and Parnell opening on the Newcastle Quayside I was beyond excited. 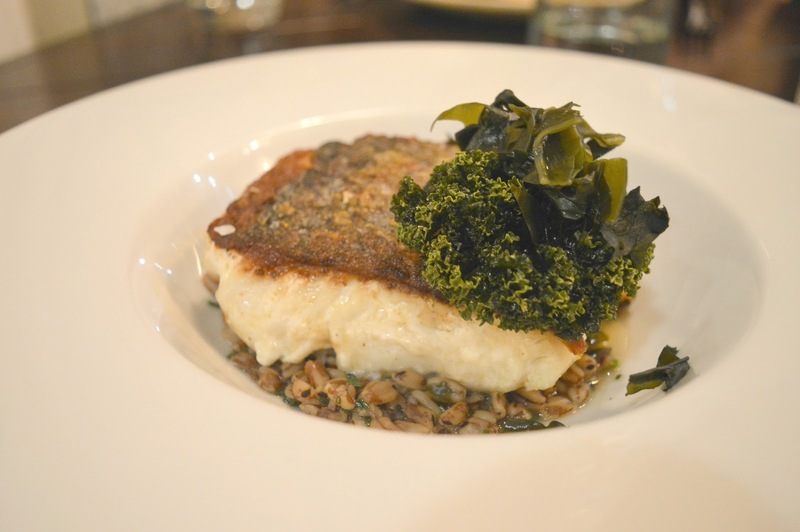 The Quayside has come alive with delicious new restaurants over the last year or so and having glanced at the menu outside every time I stroll past, Dobson and Parnell is one of the jewels in its crown. Andy Hook - owner of two of my favourite North East restaurants, Blackfriars in Newcastle and Hinnies on Whitely Bay seafront, opened Dobson and Parnell at the end of last year - serving up refined British and European cuisine from the beautiful Victorian Grade II listed building. Named after local architects John Dobson (famed for his work on the Grainger Market, and Central Station) and William Parnell (creator of the Tyne Theatre), the new restaurant is stunning and features hanging lights, stripped back brickwork and timber walls - giving the beautiful classic Victorian interiors a modern feel. The menus at Dobson and Parnell change several times a week to ensure fresh produce and seasonal dishes with food coming from nearby farms and markets, in fact our menu changed as we were sat at the table which I loved. Being able to enjoy dishes that are so creative and ever changing is a real treat for the passionate foodie. We dined from the Set Menu, served between 12:00 pm - 2:30 pm and 5:30 pm - 7:00 pm from Tuesday - Saturday. Dining in the early evening our meal cost £25 for three courses but you can also enjoy the same menu at lunchtimes for £21 for three courses. 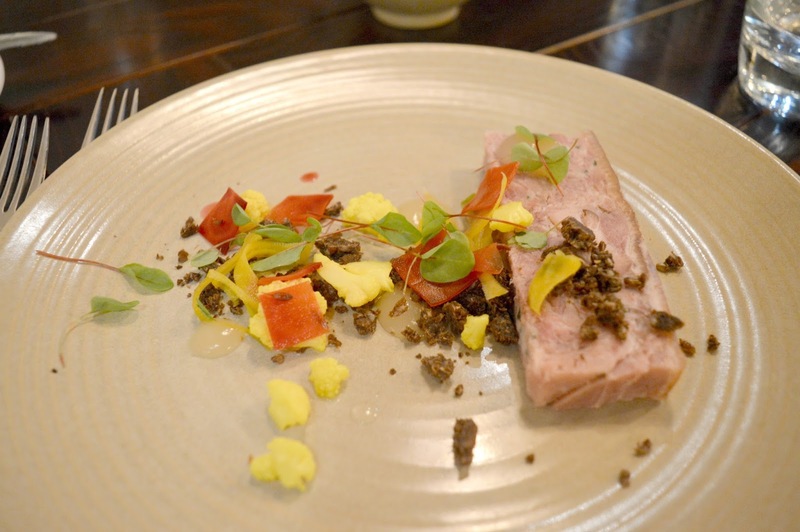 Each course offered three delicious dishes which had my belly growling in anticipation. I changed my mind several times before eventually placing my order. As we waited for our food to arrive we settled down and enjoyed the wonderful atmosphere. Dobson and Parnell has a peaceful and relaxing feel with very attentive and friendly staff. I started off the evening with Smoked Ham and Chive Terrine served with pickles and pumpernickel. The dish looked almost too beautiful too eat, just look at all those vibrant colours! Luckily I was only staring at it for a couple of minutes, as good as it looked I couldn't resist digging my fork in. Wow! Such a great start to my meal, it was packed with flavour and an exciting promise of what was to come. My meal continued with Pan Fried Black Cod served with smoked mussel liquor, frumenty, pickled lemon and wakame seaweed. It was my first try of wakame seaweed and I loved the subtle sweet flavour that worked so well with the cod and frumenty. As each course arrived our lovely waiters talked us through each dish, telling us where our food had come from and a little about how it had been prepared and served. Added touches like this make Dobson and Parnell truly special and I loved that everyone there loves food as much as me. Then came my favourite course - dessert! 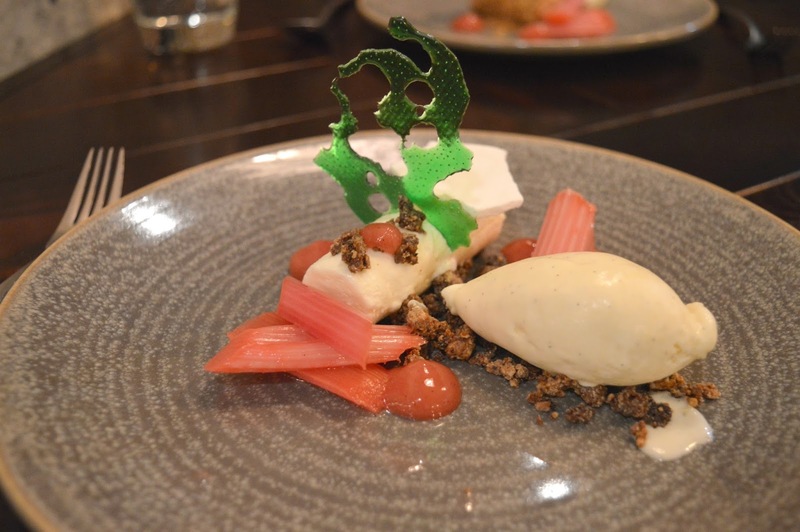 I was so happy to see Yorkshire Rhubarb & Ricotta and White Chocolate Parfait served with Whey Fudge on the menu. I've been obsessed with rhubarb ever since I was a little girl - my Grandma grew it in her garden and would serve it stewed with ice-cream, it's something that every time I have it, I'm transported to my childhood. I'm so glad that I ordered it as it was one of the best desserts I've ever had. Completely lost in all of the delicious sweet flavours it was one of those dishes I wanted to last forever - I'll be thinking about that dish for a long time to come! 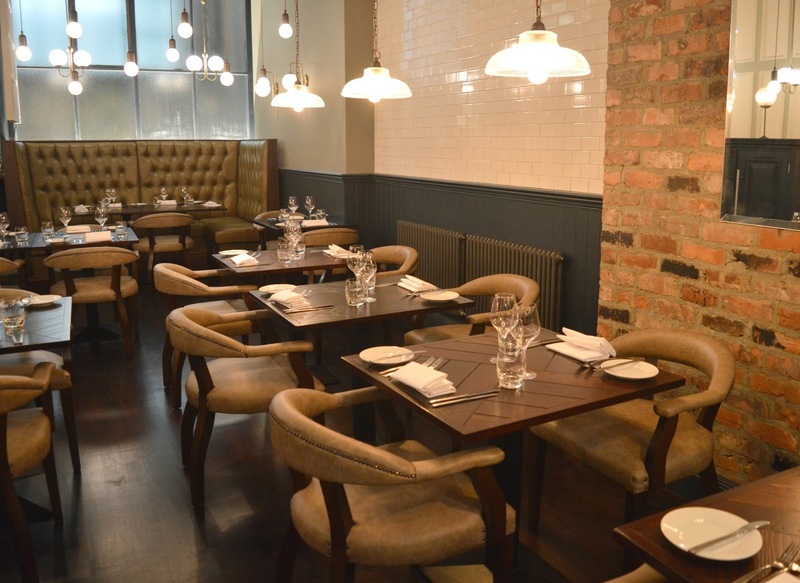 As well as the Set Menu, Dobson and Parnell offer lots of other tempting deals including 3 courses and glass of fizz for £24 served Tuesday to Saturdays and a business lunch menu with 3 courses, a 250 ml glass of wine and coffee for £30. For foodies like me, make sure you join the Food Club where you'll receive exclusive offers each month from Dobson and Parnell, Blackfriars and Hinnies. We loved our first trip to Dobson and Parnell and with so many great offers available I don't think it'll be long before we return! I've been eyeing up this place for a while and this review has me definitely moving it into first place for next restaurant we visit when we get a babysitter. It sounds great. Sounds delicious! I've had my eye on this place for a while too looking forward to going. Lost track of all the offers though ha! The set menu is superb value isn't it! We'll have to add it to our places for a lunch date (which I think we should start after our Spring travels by the way). My dada has rhubard growing in his garden too, so it's rhubarb crumble A LOT in the summer! :D Place looks gorgeous !